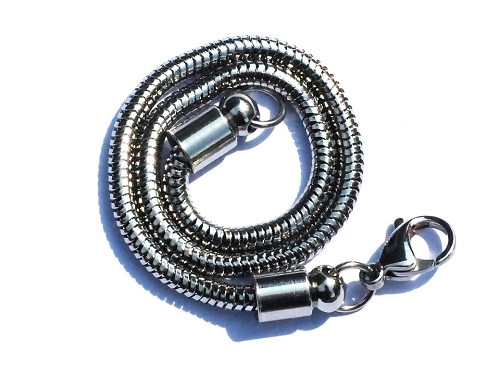 Stainless Steel European Snake Bracelet with Screw off Ends. Can be wore as is or add a charm, pendant stone and/or an European Style bead to make your own look. 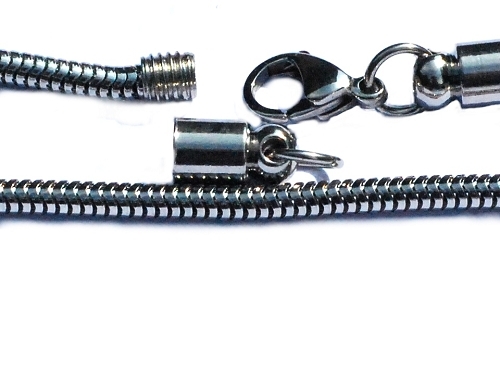 You can easily side any bead with a hole greater than 4.5 mm after unscrewing the end clasp.